Porter Wagoner lyrics represents a legend in both the country and gospel music world. His music has been a source of entertainment for us for many years. 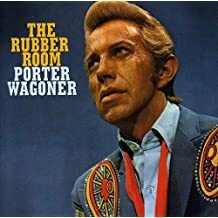 Porter Wagoner will always be known for his flashy costumes and broad smile. His memorable songs are the image of a true country star and was indeed an icon in the country and gospel music industry. Porter will forever be one of the most recognized names and images in all of country music. He had such grand showmanship and his rhinestone suits will always be part of his legacy not to mention his song writing and recitations. He had great ability for record production and was always very loyal to the Grand Ole Opry and performed there his entire career. He was instrumental in the start of the great career of Dolly Parton. His music is timeless and will be enjoyed for years to come. Thanks Porter.